This is another one of those infamous "it sounds good in theory" ideas, much like recent ideas that we've come across where Google wants to have better Voice integration with carriers, and more Wallet adoption as well, although the carriers want nothing to do with those plans. 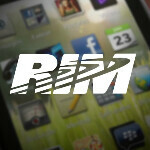 The same could be said for the ever-present idea that "RIM can license BlackBerry 10! That'll save the company!" Of course, wanting to license a product, and being able to successfully license said product are two very very different things. Just ask Palm about that. Still, Thorsten Heins said today, after RIM's terrible Q4 earnings call, that he is still in the process of "reviewing" what will be done with BlackBerry 10. He said, "whether we build the hardware ourselves or whether we engage in partnerships is part of the review, we'll keep you updated once that is completed." Heins also mentioned this possibility when he first took over as CEO at RIM. It's very likely that RIM will release the first BlackBerry 10 devices itself, but we'll have to wait and see if the company attempts to license the platform as well. Then, it's a matter of whether or not licensing is even a good idea, because analysts have already said that the plan may not work. They should just give up. Even though they make pretty good products, no one wants to walk around holding a BlackBerry. yes, because people should select the phone they want to use because on what everyone else is using, not what they like best and best suits them. Some people go with BB because of their security, some because they need to for work (enterprise), some like the form factor, some dont care for touchscreen phones, some like the email/bbm features. I think buying a phone should be based on if you like the features, form factor, etc. etc. not on if all your friends and family have the same phone and you can download words with friends or whatever on it. Blackberry where too dog in there day but have gone down hill maybe this will be a but off saving grace for rim. 9900-9930 ITS THE MOST BEAUTIFULL PHONE EVER ! IF THEY THINK TO UPGADE IT T0 BB10 IT COULD BE GREAT !!! The only reason that i would get a blackberry is for its hardware ( Great built quality and battery life) not software.